I'll admit it, I totally discount short fiction. I almost always skip the fiction section of the New Yorker, despite friends' repeated insistence of its worthiness. I guess I consider short stories a lesser form of fiction, a novel that couldn't be. But with my newly impatient (internet era?) attention span, which has made for a teetering stack of two-thirds finished novels by my bedside, I'm starting to think I should rethink my short story prejudice; apparently they're great. 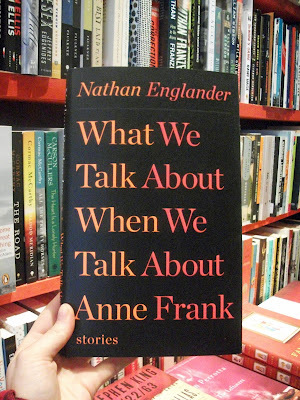 If I didn't skip the New Yorker's fiction section, I would have read the title story of Nathan Englander's new collection What We Talk About When We Talk About Anne Frank back in December 2011. The story is about two Jewish couples, one Hassidic and living in Jerusalem and one secular/Floridian, who (from the magazine's abstract) "get high and argue about culture" which really does sound awesome. Englander is an award-winning short story writer. His first collection, For the Relief of Unbearable Urges, received the 2000 PEN/Faulkner Malamud Award and the Sue Kauffman Prize for First Fiction. The back jacket of What We Talk About... boasts impressive reviews from fellow authors Colum McCann, Jonathan Franzen, Jonathan Lethem, Jennifer Egan, Dave Eggers, and Michael Chabon, who calls the works collected, "Certifiable masterpieces of contemporary short-story art." If you're in the mood for something darker, Dan Chaon's Stay Awake is a new collection of short horror stories. This is not genre horror. It's more like "is that horror?" horror— psychological, suspenseful, sorrowful, the horror of abysmal could-happen-to-you situations. 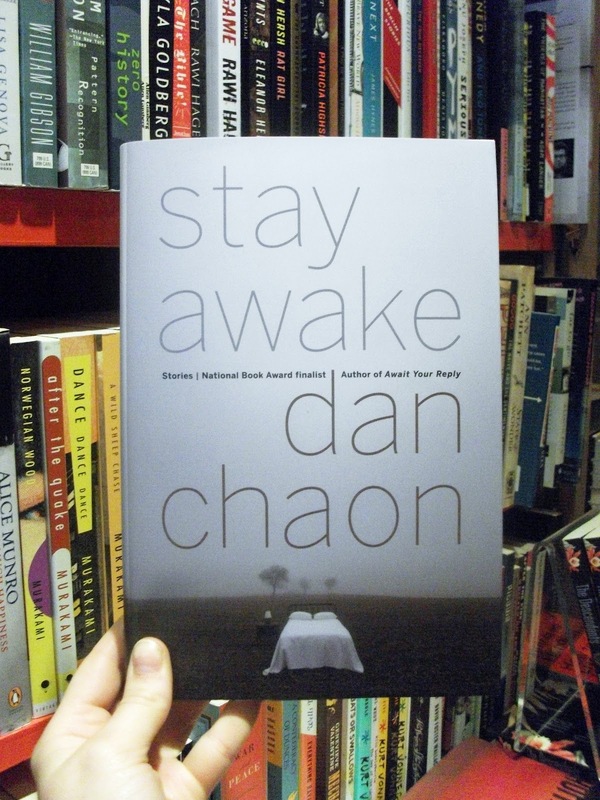 Chaon's 2002 collection of short stories, Among the Missing, was a National Book Award finalist. His last novel, Await Your Reply, was a New York Times Notable Book of 2009 and appeared on many other "Best of the Year" lists. Here's Stay Awake reviewed in the New York Times.